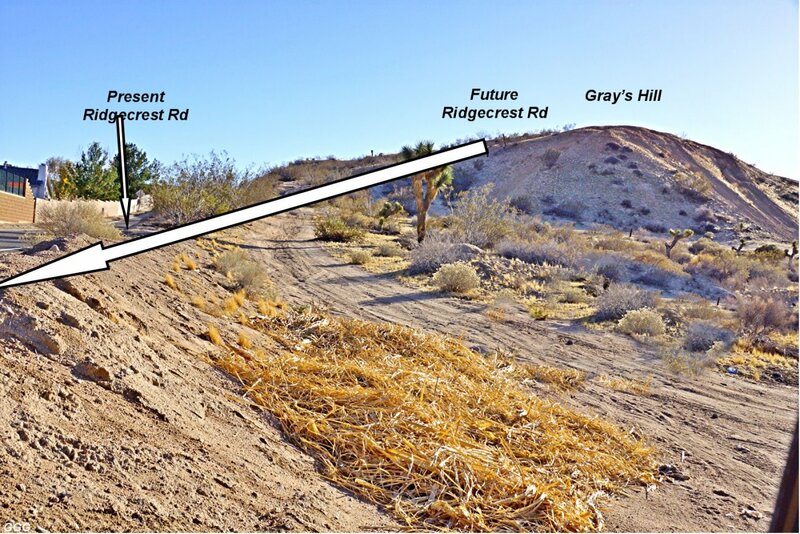 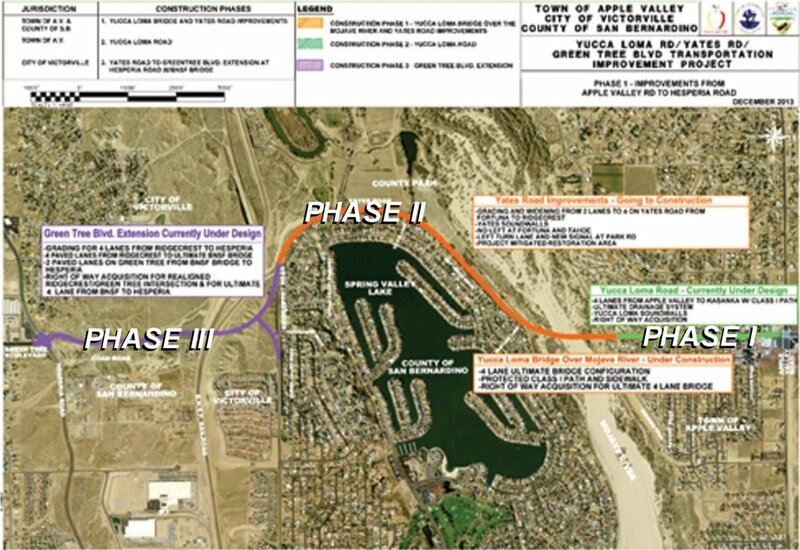 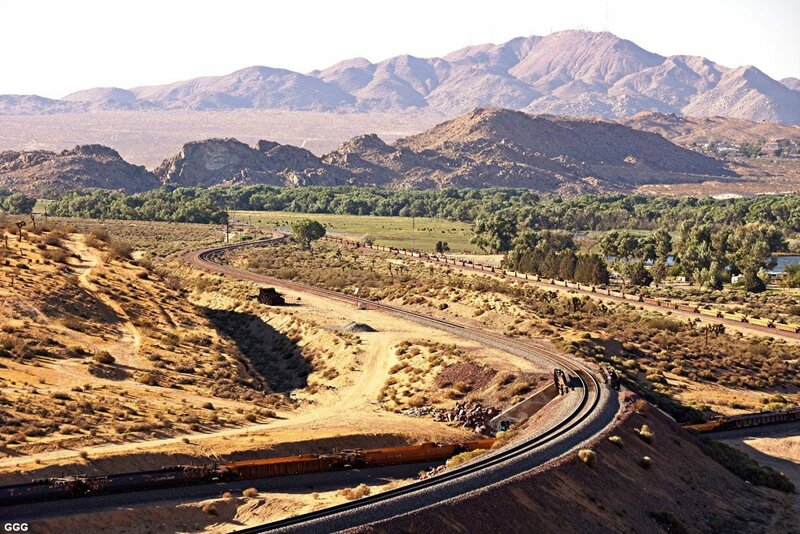 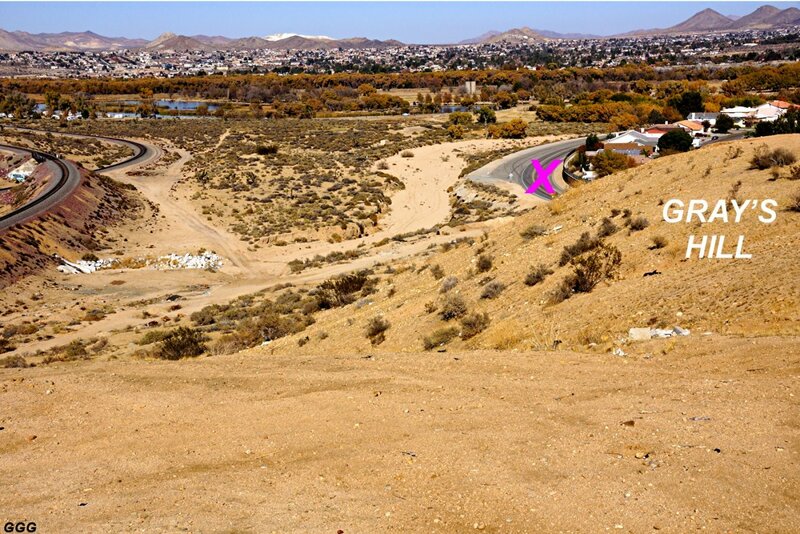 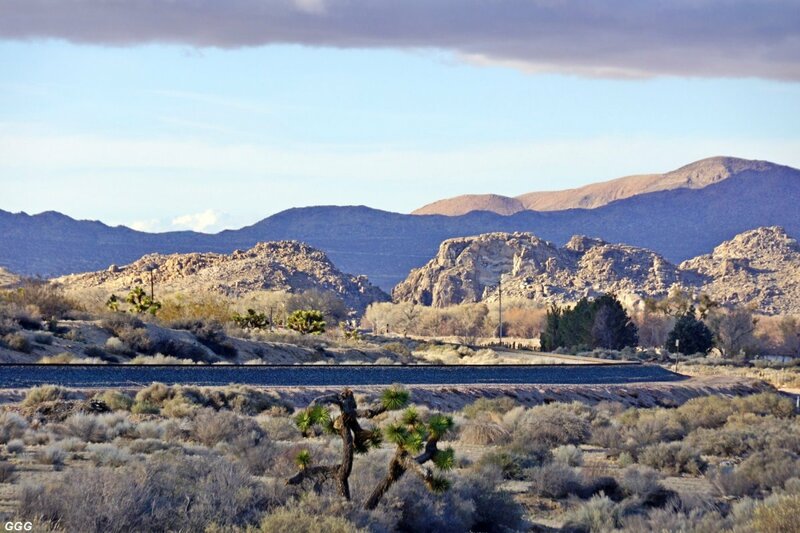 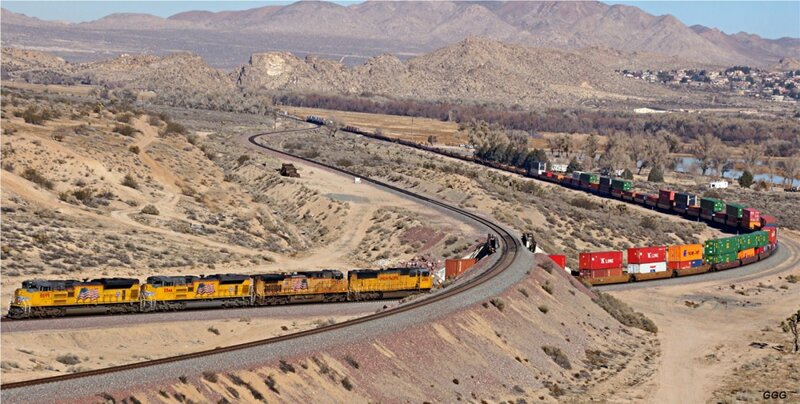 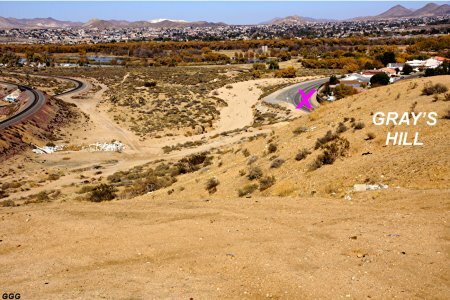 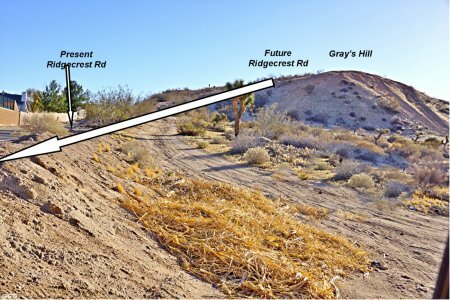 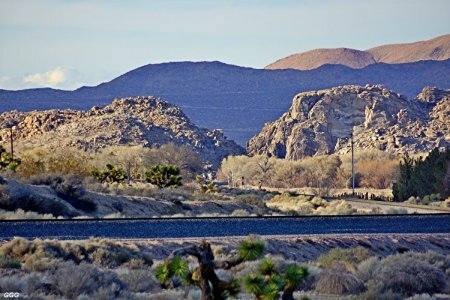 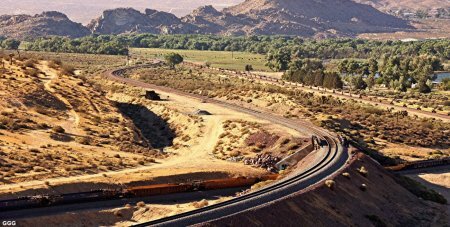 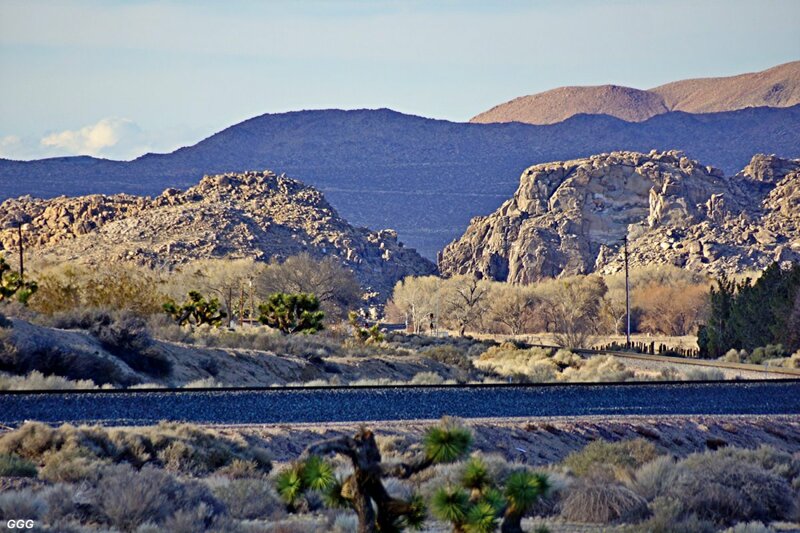 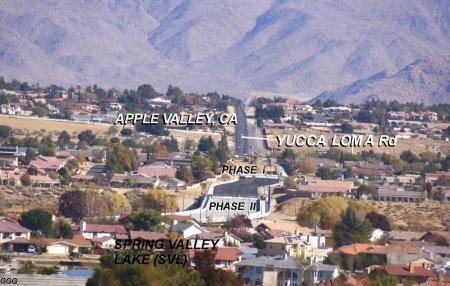 After years of planning and searching for funds, our local Governments have started construction of the fifth roadway between Apple Valley and Hesperia (and / or Victorville). These projects are necessary, not only for normal vehicular traffic but, for emergency traffic in this VERY earthquake prone area. 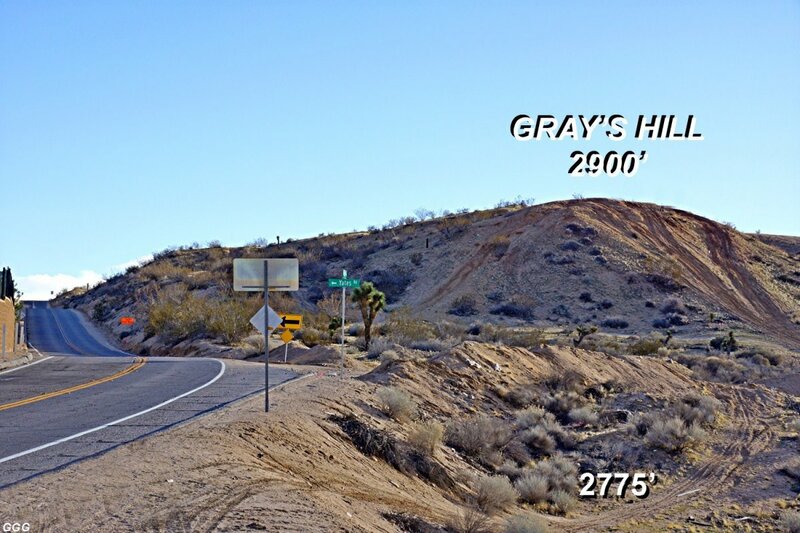 Three of the roadways have existed for many years but one accident would clog the other two roads for hours. 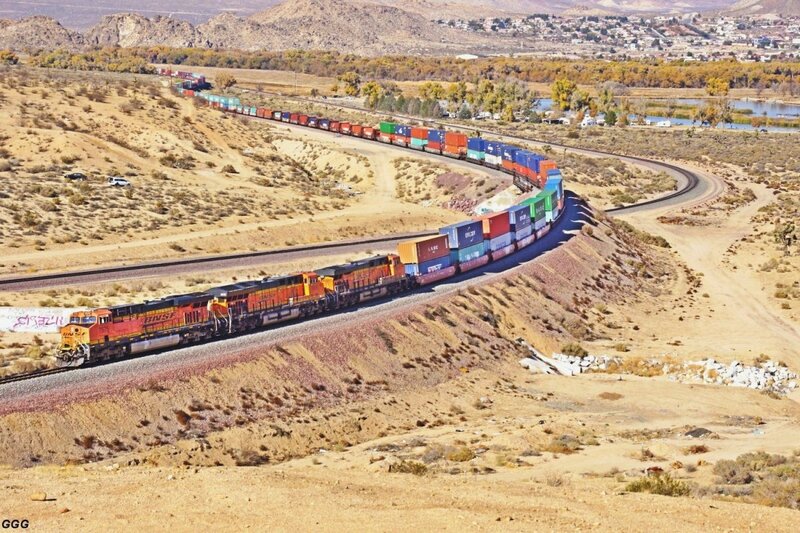 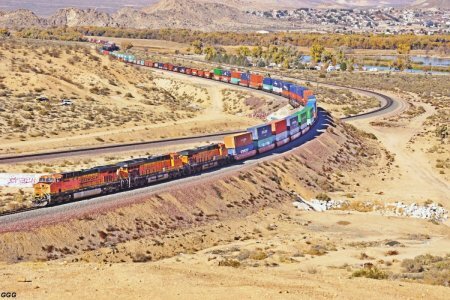 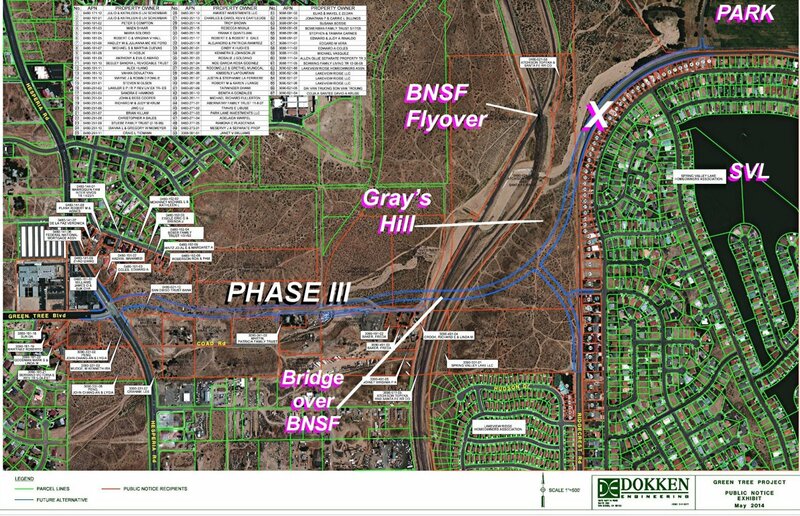 The hyper expensive factors in this construction are that all five, of these arterials, must cross the normally dry Mojave river, its tributaries and the very busy BNSF RR Cajon sub-division. 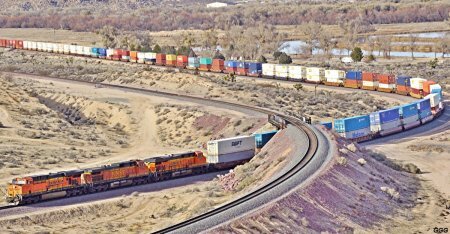 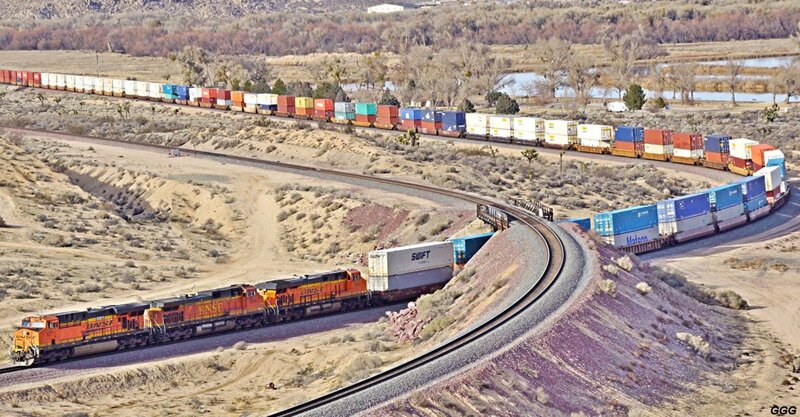 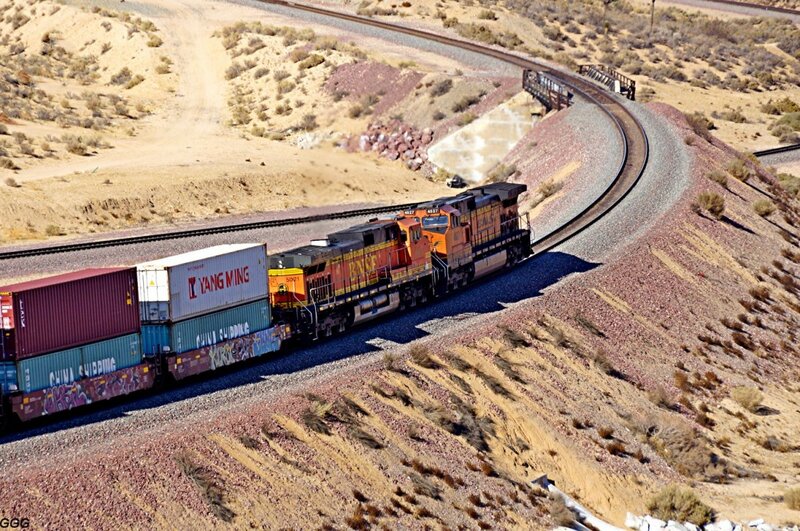 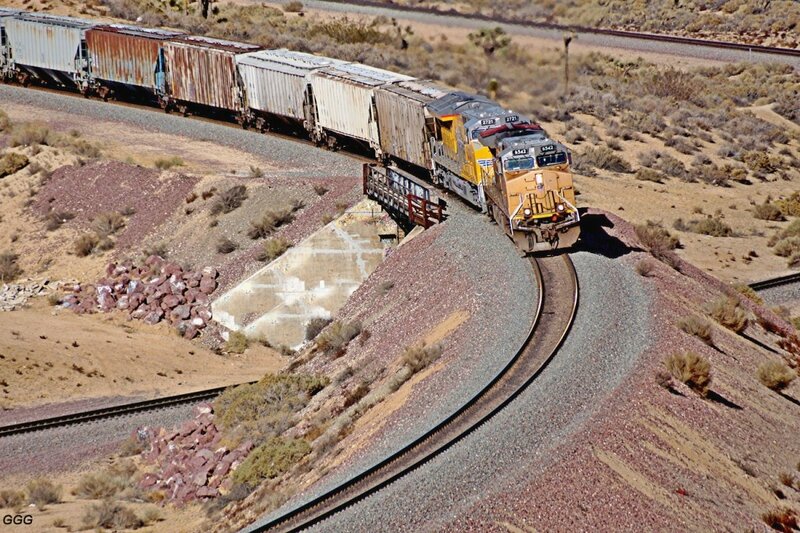 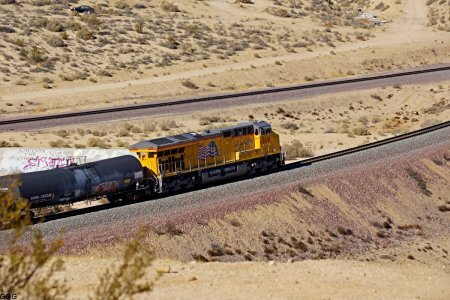 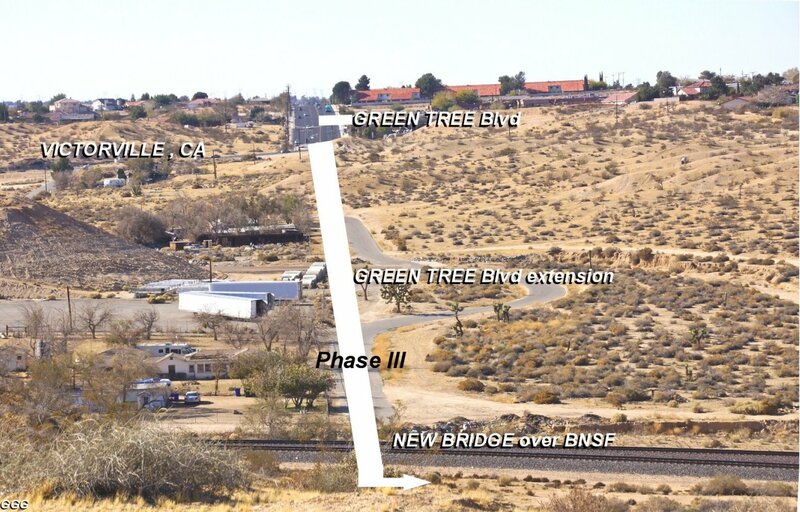 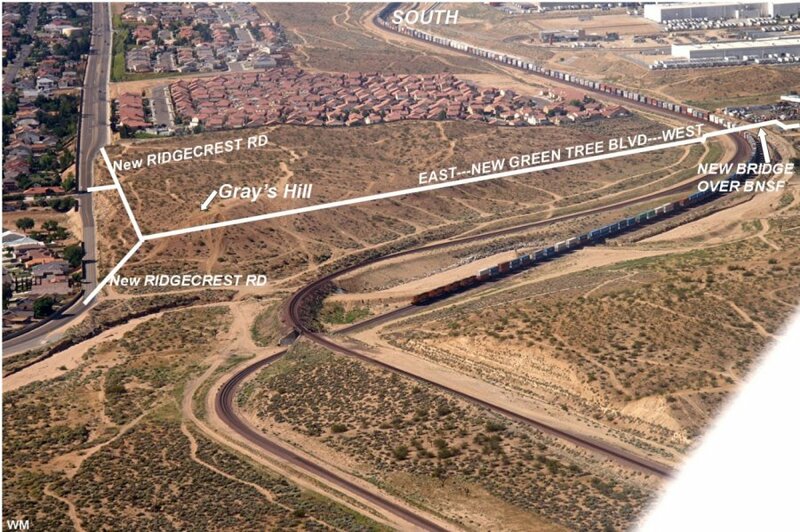 What's important to we Raifans is that this latest construction must cross the tracks very near the "natural crossover / flyover" at MP 39.1 of the BNSF Cajon Sub -- and how the new roads will affect the hill overlooking the flyover (our viewpoint, locally known as "Gray's Hill"). For bigger size photos - please click on the 3-digit number below each photo (the first letters specify the photographer)..